According to co-creator Christopher Lloyd, the first half of the upcoming season will feature a significant character death. That’s certainly something new for the series. As you might expect, Lloyd isn’t about to divulge the identity of the corpse. 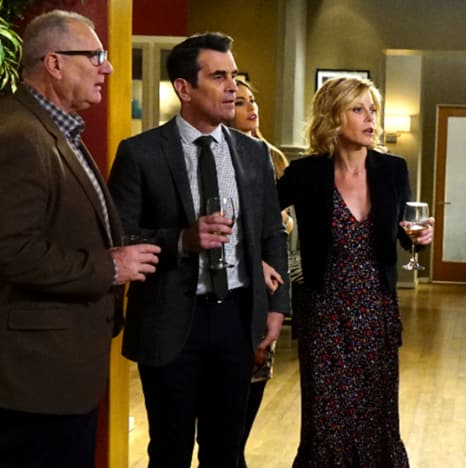 Modern Family stars Ed O’Neill, Ty Burrell, Julie Bowen, Jesse Tyler Ferguson, Eric Stonestreet, Ariel Winter, Sarah Hyland, Rico Rodriguez, Nolan Gould and Aubrey Anderson-Emmon. It has maintained the same cast throughout its duration on the air. It also set a record by winning five straight Outstanding Comedy Series Emmy Awards. The sitcom is heading into its final contractual season, meaning this very well could be the show’s final season. Lloyd, however, hopes this won’t be the case. “There’s goodwill on both sides to make it happen, but there’s also complicated matters that have to get worked through, and there’s a time constraint on it, because we can’t have it take too long,” he says. 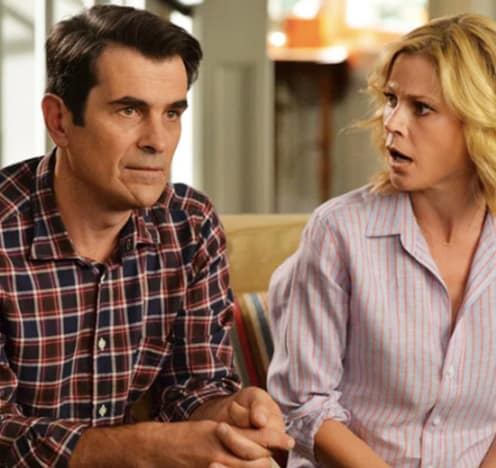 Modern Family Season 10 premieres on Wednesday, September 26 at 9/8c. Our best guess is that Phil’s father, played by the amazing Fred Willard, is the one who kicks the proverbial bucket. As for what else fans can expect from upcoming episodes? Kris Jenner Poses for Bikini Selfie at 61, and WOW! Jim Bob & Michelle Duggar: Anti-Abortion Post Outrages Fans! The Real Housewives of New York City Season 9 Episode 12 Recap: Did Ramona Go Too Far?